A workload mover software solution, supports Physical-to-Cloud, Virtual-to-Cloud, and Cloud-to-Cloud. The very first on-line migration solution tightly integrated with Alibaba Cloud. Migration to Alibaba Cloud can be as easy as saying "SaaSaMe"! This is the on-line migration edition, also the very first migration solution tightly integrated to Alibaba Cloud to migrate servers without shutdown. SaaSaMe Transport features automated conversion between heterogeneous platforms, one-click user experience built upon cloud API integration, and minimal RTO/RPO. for full download and instructions. 2. 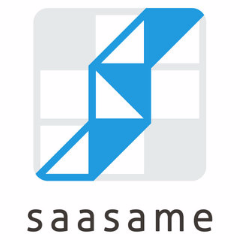 Please visit https://www.saasame.com/order.html to purchase licenses. 3. Supports Windows and Linux workload migration. Please reference user guide delivered as part of the download package for detailed support information. 4. SaaSaMe Transport can be used to migrate instances out of Alibaba cloud as well, including back to the original source environment. Please email any support request to support@saasame.com as the first step. It will be processed within 24 hours. Other communication (e.g. instant messaging, conference call, etc.) can be arranged accordingly depending on priority, severity, geography and other factors thereafter. By subscribing to this product you agree to terms and conditions outlined below. 1) This license applies to ANY Saasame Transport edition in the form of installers, images and others, no matter it's free trial or paid licensing. 2) Users may use this software on both personal and commercial servers. 3) You may NOT modify any code included in this package in any way. 4) Users may NOT redistribute or repost/ resell for download any part of this software without expressed written consent from the Saasame Team. Redistribution is defined as re-offering for download in any fashion, anywhere on Internet, an application that generates code snippets, or a physical digial media collection of codes, etc. 5) Users agree not to remove/ edit the credit notice within the source code, or claim the code to be work of their own. 6) Users agree not to use this software for illegal purposes. 7) Users agree not to hold http://www.saasame.com/ (Saasame Ltd.) or any other copyright holder or developer of this software, liable for any damages resulted from proper or improper use of any of this software. Use at your own risk. 8) USERS MUST NOT REMOVE OR HIDE OR MODIFY any copyright notice included in the package. 9) Users must apply for license credits from Saasame to use this software legally. 10) You understand that breach of this License will result in immediate cancellation of your license(s), and no refunds will be given. 11) The pricing structure may be changed at any time. Price changes do not affect existing licenses. 12) Users agree that Saasame can collect usage statistics of this software from the users' environment to the reporting server owned by Saasame over LAN/WAN. NO WARRANTY: THERE IS NO WARRANTY FOR THE SOFTWARE. THE SOFTWARE IS PROVIDED "AS IS" WITHOUT WARRANTY OF ANY KIND, EITHER EXPRESSED OR IMPLIED, INCLUDING, BUT NOT LIMITED TO, THE IMPLIED WARRANTIES OF MERCHANTABILITY AND FITNESS FOR A PARTICULAR PURPOSE. IN NO EVENT SHALL THE AUTHORS/COPYRIGHT HOLDERS BE LIABLE TO ANY PARTY FOR ANY KIND OF DAMAGE IN ANY FORM ARISING IN ANY WAY OUT OF THE USE OR MISUSE OF THIS SOFTWARE. Please also review the EULA delivered in the software download (http://saasame.com/order.html) for the terms and conditions of the open-source components included in this package.